Cleaning between your teeth is an essential part of a good dental care plan. When plaque accumulates between teeth, it can harden into tartar, which can only be removed by a dental professional. When tartar builds up between teeth, gum tissues swell and start to bleed. The condition is commonly known as gingivitis, the earliest stage of gum disease. Toothbrushes can’t effectively clean between teeth, so flossing or using interdental cleaners is necessary. Dental floss or tape removes food debris and plaque between teeth and reduces your risk of gum disease and tooth loss. What is Floss Made From? Today’s dental floss is usually made from plastic monofilaments or nylon filaments. 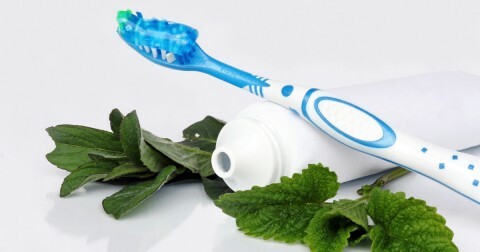 It may contain flavoring agents to make cleaning between teeth more enjoyable. Some floss is coated with wax so that it is easier to slide between teeth. Both waxed and unwaxed floss are effective. 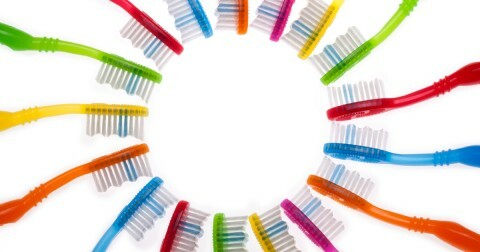 An interdental cleaner is a wood or plastic device that cleans between teeth. Many such products include tiny brushes attached to their ends. To ensure the best performance and quality, look for the ADA Seal of Acceptance on the packaging of both dental floss and interdental cleaners. As long as you do a thorough job of both, either is acceptable. Unfortunately, some people think their teeth are clean after brushing, so they skip flossing altogether. Plaque is still hiding between teeth, even if your mouth feels fresh from brushing. 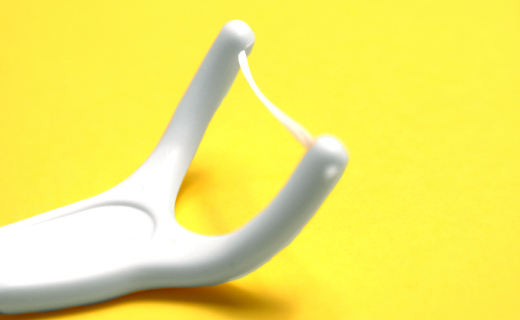 Used floss, even if rinsed, may deposit bacteria between teeth. Floss and disposable interdental cleaners should be discarded after use.